In the early hours of August 10th, 2018 co-founder of the Vancouver International Jazz festival, and long-time artistic director of Coastal Jazz and Blues Society Ken Pickering peacefully departed this life in the loving presence of his wife Christine Fedina. The eloquent and heartfelt tributes that have flooded in from across the globe in the wake of his passing testify to his lasting impact on the jazz world, and to the deep love and respect he inspired in an expansive global community of musicians and friends. Ken was the key visionary and sustaining genius behind one of the world’s most exciting annual musical celebrations. His discerning curatorial sense brought a world of brilliant, creative music to Vancouver every year, creating community around the most intense and passionate expressions of the human spirit. Ken had deep historical and spiritual roots on the West Coast. He was of Haida and Shuswap descent on his father’s side, his ancestors were among the founding families of Victoria, and the towns of Port McNeil and McNeil Bay. The adventurous spirit that was Ken’s birthright may explain his leap to open his own independent record store, which as Black Swan records became a key shrine for Vancouver’s serious musical pilgrims in the 1970s and 80s. His spirit for adventure continued to drive his insatiable curiosity and his tendency to immerse himself fully in his passions, whether music, cooking, or design, in search of deeper understanding and mastery. Ken found his true spiritual mate and partner for adventure in Christine Fedina, who he married in 2002. Chris was an integral part of Ken’s life, and his global musical family, and the two became famous for sharing their hospitality — and incredible cooking — with visiting musicians during the jazz festival. 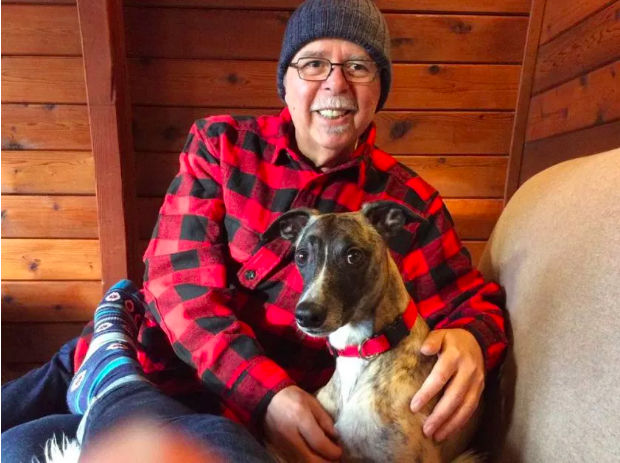 Two years ago, as Ken began to step back from his duties with Coastal Jazz, and as they both felt the urge to live closer to the ocean and forest, they had the opportunity to build a home on Bowen Island. They built it together, from the ground up, with joy. And in the end they created a remarkable space of light and beauty to share with their beloved dog Booker and their many visiting friends. Above all, Ken will be remembered for his sweetness and generosity. He truly loved it when others could experience the things that he was passionate about, whether it was a new exciting group from Sweden, or a savoury strain of heirloom beans from Mexico. He always did so without pretension or ego, but rather with a profound appreciation for the beauty and pleasure of this world. Nothing could beat a “hang” with Ken. We will miss his voice, his style, his laughter, his sense of cool, and the joy he took in small, beautiful things. And we are better people for knowing his dignity, grace, humility, and questing spirit. A memorial service will be held October 13 at 12pm at Christchurch Cathedral in downtown Vancouver.